Can you get a strike with this carnival game? It’s like bowling! 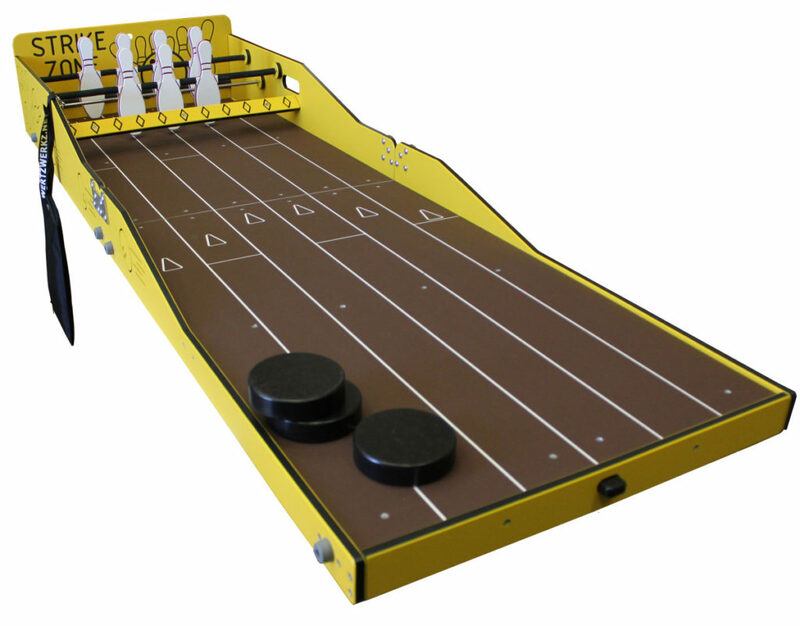 Simply slide the puck down the lane and try to flip all 7 pins. Simple and fun. Strike Zone fits on any standard 6′ table and folds to fit in the back of a car.